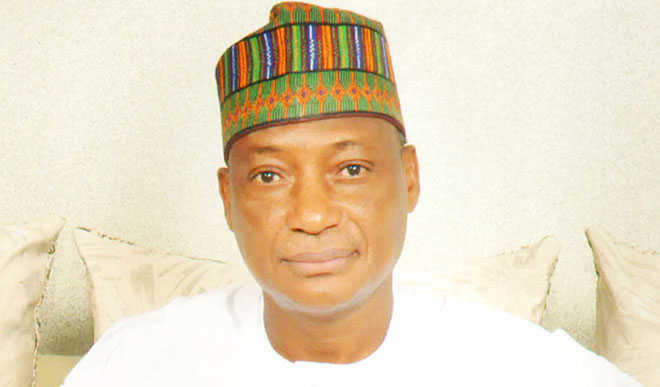 Defence Minister, Mansur Dan-Ali has said the one billion dollars approved by the National Executive Council (NEC) for the war against Boko Haram was needed to finally terminate the sect. According to him, NEC’s approval was in line with decisions reached at the conference of Ministers of Defence and Chiefs of Defence Staff of member states of the Multinational Joint Taskforce held in Chad. Dan-Ali stated this during the weekend at the Nigerian Armed Forces Resettlement Centre (NAFRC), Oshodi in Lagos, after the retirement/graduation of 403 soldiers who underwent skills acquisition training. The retired soldiers comprised 281 from the Nigerian Army (NA), 17 from the Nigerian Navy (NN) and 105 from the Nigerian Air Force (NAF). Although Dan-Ali did not give specific details, he insisted that Boko Haram had been substantially degraded and that the approval was to finish what was left of the group. He said: “Boko Haram has been really degraded. I just returned from Chad from the conference of Ministers of Defence of the Multinational Joint Taskforce. However, a security personnel, who asked not to be named said that a greater chunk of the money would be spent on the acquisition of military equipment and capacity building for the militaries of neighbouring countries. Previous World busiest airport partially shut down due to power cuts .